This is dubstep, a genre of electronic dance music emerging in the late 1990s. 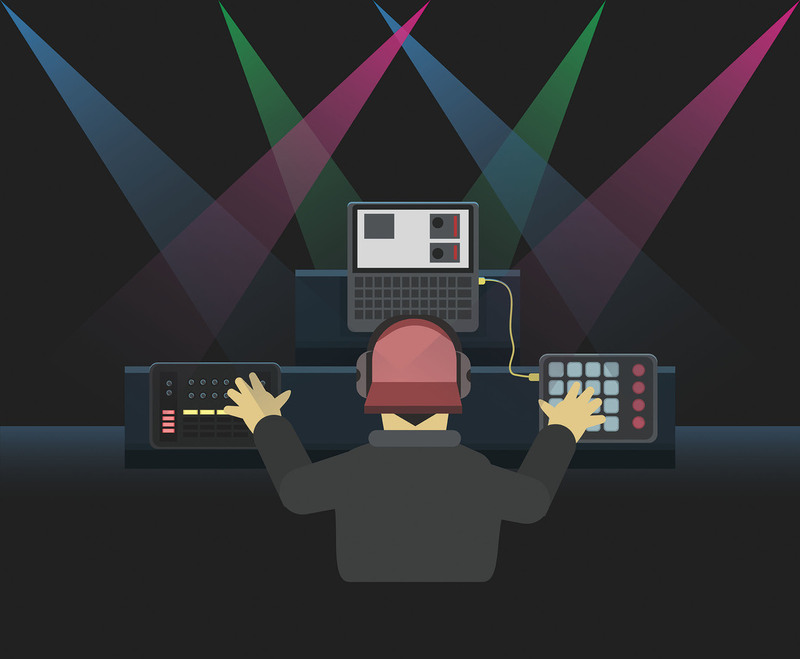 This package illustrates a dubstep musician performing the music while surrounded by his tools. I hope it's useful for you design projects.